Just in time to end Posh, Chic and Cozy week, the winter weather has finally arrived..! I will be spending most of my weekend inside, so I thought a Posh Home post was fitting today. It's no secret a little fur can go a long way. Not only for an outfit but also at home. My place includes several fur touches including, fur throws to wrap myself up in when I'm hibernating and fur pillows add just the right amount of texture to my couch. 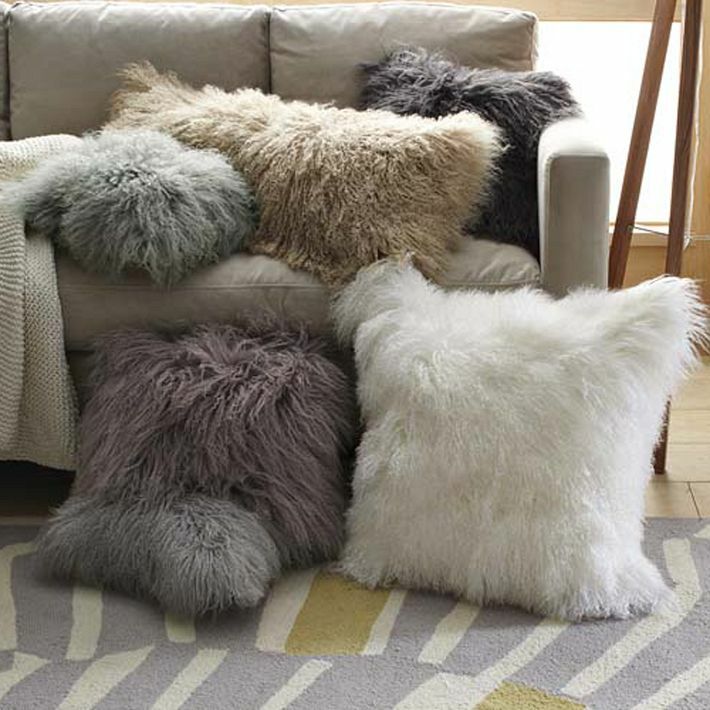 West Elm has some fabulous pillows online right now. I am coveting the white for my bedroom. In the meantime here are some inspirations. Stay Posh!